Added Fields of the Warriors skill on September 28, 2017. Fields of the Warriors Begin Duel with the Field Spell "Sogen" activated. Joey's Reinforcement skill will be changed on May 23. The new skill description is below. Reinforcement Return 1 card from your hand to your Deck and draw a random Warrior-Type monster. 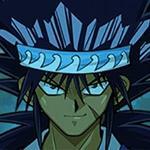 After you get a copy of Polymerization as a reward for leveling up Joey to 5, you may give preference to other Legendary Duelists over Joey for leveling up. Based on Joey’s dueling style in Yu-gi-oh anime that greatly depends on luck, effects that contains the use of dice and/or coins seems to be represent in his drop skill sets. Although not very reliable in the duel, these skill could turn the tides of duel if you are facing a defeat. For notes about other skills, see a skill section below. Joey’s duel reward card pool contains one of the most strong card in the game; Metalmorph although some of the card reward in “R” rarity are not so useful like Red-Eyes Black Metal Dragon. 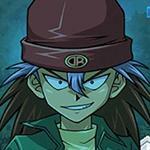 Although Joey could be unlock and duel at early level, it is suggested that player don’t over spending gate key on him yet, in the beginning (wait for level 40 to be available). Here is a deck to get around 6000 score against Joey. Once you reach Stage 3, Joey appears at the Gate and Joey unlock missions become avaialable. 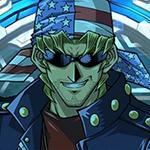 Win 1 Duel(s) against Joey Wheeler at Level 1 in Duel World. Can be Used if your Life Points are at 1000 or below. Play "Gilford the Lightning" to your side on the field. This skill can only be used once per Duel. 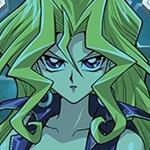 Reward cards are cards that You can get as reward for gaining a victory over legend duelists. The list of cards that you can obtain by winning a duel against level 40 Joey Wheeler is below. 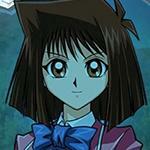 Joey Wheeler is one of Yugi Muto's friends and classmates. 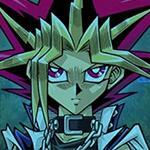 He had teased Yugi at first, but changed his mind after seeing Yugi's bravery. 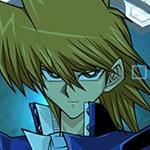 He improved his skills to play the card game, and he and Yugi Muto helped each other. 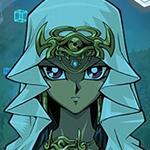 In the YGO R manga. As a Joey main, I felt disrespected at "Level 5 is enough"
Do ranked duels i got it there. 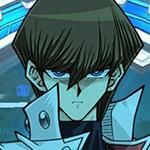 The funny part is, Joey being a low level duelist is also how Kaiba think of him. 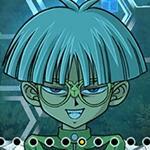 Are you saying the person who put that in is Kaiba? "As a Joey main, I felt disrespected at "Level 5 is enough"
It was a horrible suggestion as well. He has some decent cards at higher levels too. Most of the "tips" written for joey are pretty bad. The only skill I want from joey is Last Gamble and OF COURSE I have every single drop skill aside from the 2 LP boost commons but I'm sure I'll get those next. Back when I was looking for Bonz's Posthumous Army drop skill, I only got it after I got nearly all of his other skills. In fact, Posthumous Army was one of his last two skills I got, the other being Grit...which I also got at the same time. So you can also say both Posthumous Army and Grit were literally the last one I got. What kind of card joey needs to be an interactive cards? 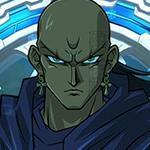 But he has the luck of the devil against me with last gamble and battery man decks. Joey will always get at least three cards with this skill right when I have what I need to win. And then he ALWAYS gets what he needs with battery man. It is so much harder than fur hires or amazoness. It is like I am dueling the anime Joey Wheeler and his BS luck. How much keys do you guys spend on farming to get Last Gamble? I spent around 2000 colored key and I am not get it. So bored. I meant "for my friends"